We use the Teamspeak VOIP software for in-game communication and the mod/plugin ACRE allows for realistic voice and radio behavior. The version of ACRE we were using is a dev build and is only compatible with the latest version of TS. 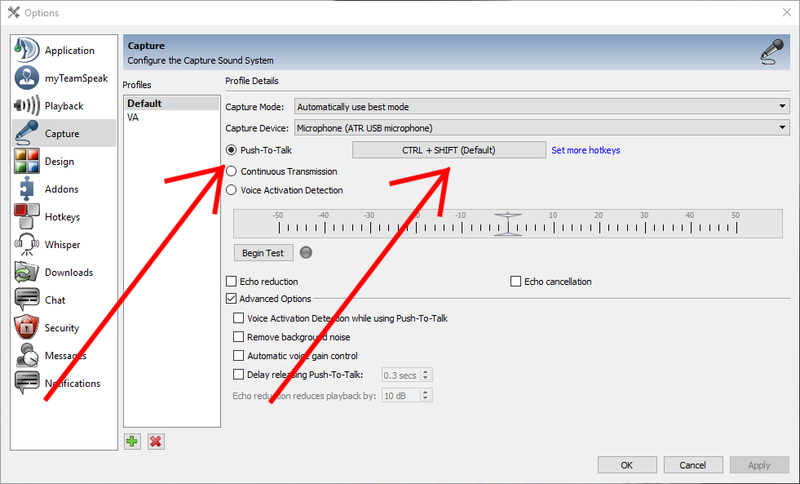 Note: a Push-To-Talk key is required for Teamspeak; voice activation is not allowed. You will be using the latest version of the Teamspeak VOIP software. This can be acquired on the downloads page on the Teamspeak site. 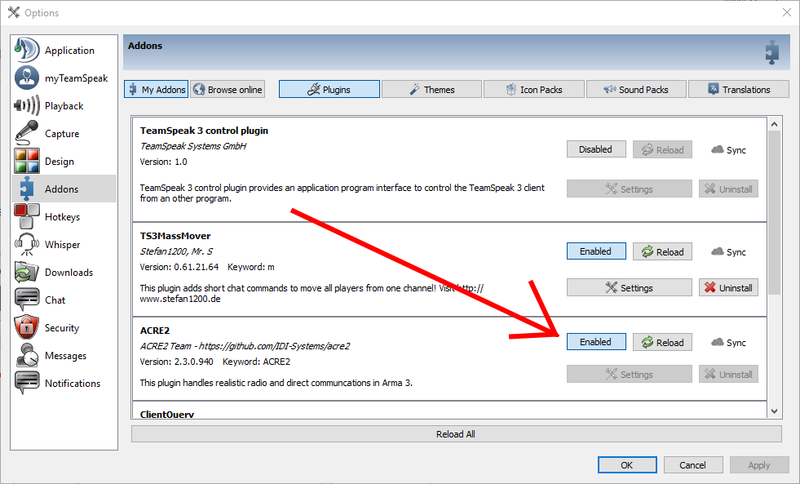 Navigate to your Teamspeak directory and check to make sure Teamspeak.exe will start as admin. Note: This is required and ACRE will not work properly without this step! When you launch Arma, ACRE will detect if ACRE installed and if so, which version number. It will update the version accordingly and give you a prompt to hit okay. Open Teamspeak, select Tools → Options and then switch to the Addons tab..
You should see ACRE in the plugins section and it should be set to enabled. 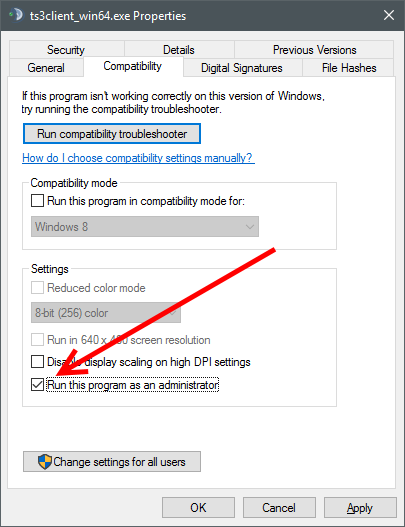 In Teamspeak, select Settings → Options, then go to the Capture tab. Select Push-To-Talk and bind your key of choice. If you have spare mouse buttons, such as a Mouse4/5 or Forward/Back buttons, we strongly recommend one of these for Push-To-Talk. 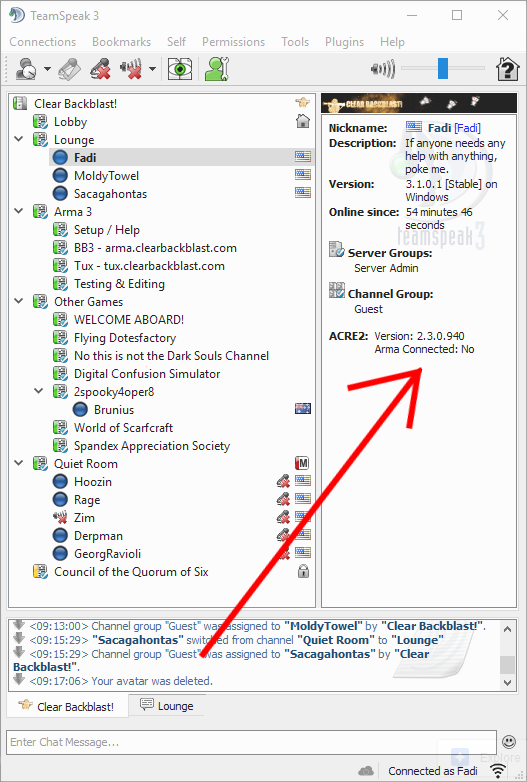 Our Teamspeak server address is clearbackblast.com. When connected to any server, make sure TS reports the ACRE2 version number.